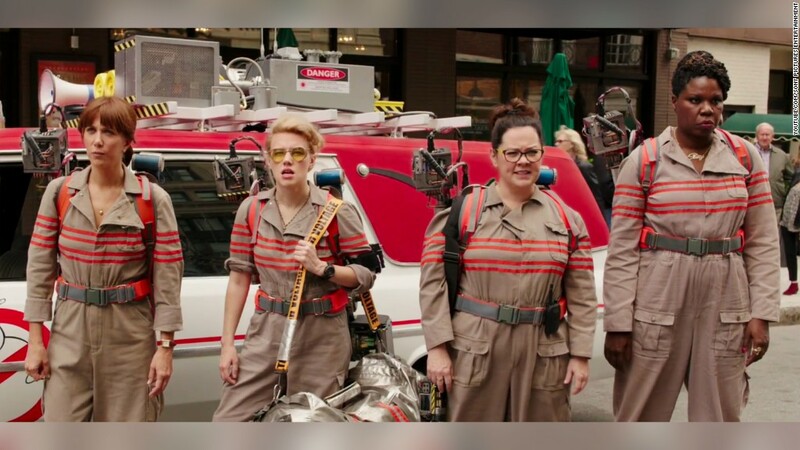 "Ghostbusters" takes place in a fictional world of spooks, spectres, and ghosts. But there's a whole real life profession tasked with hunting something strange in your neighborhood. You're a paranormal investigator. Can you describe what that is? Do you take calls about ghosts? Yes. For the most part, nothing happens, and you're just trying not to fall asleep in a dark room that's totally quiet in the middle of the night, but I've had a few things I cannot explain. I am the first person to say, "Oh, this must be what's causing it. This is a totally normal thing that is happening." I have seen things move on their own. I've been touched. But no one's gotten slimed or anything like that? Not yet. Leave that door open. Maybe it'll happen. Highly unlikely, and I feel like if that were to actually happen, I would just run, honestly. What can you do at that point? Okay, let's talk about the film series. Does "Ghostbusters" properly portray ghost hunting? Obviously, it's a movie, so it's way more exciting and a lot more things are happening. That's not real life. It's good in that it opens up a wider audience to the idea of investigating the paranormal, and the idea that the paranormal is even a thing. It's a movie. If we did encounter a giant marshmallow man, I don't know what I would do. There's no plan for a 100 foot Stay Puft Marshmallow Man? There's no action plan... Get in a taxi. 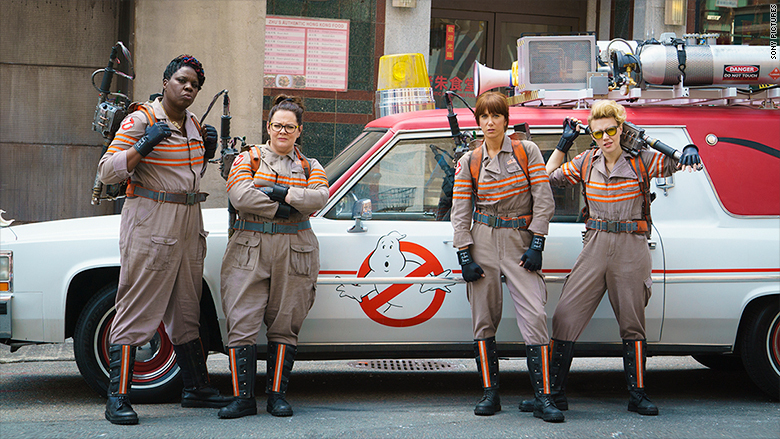 "Ghostbusters" returns to haunt theaters this weekend with new female cast. I do, absolutely. I think it's awesome. Part of me wishes it weren't such a gendered thing, because why should it matter? Is it all male? Is it all female? Is it a mix? People across the board are interested in the paranormal. It's faced a lot of backlash online from people who are really upset that it's an all female cast. What do you think about that? Oh, that's totally stupid. It shouldn't matter... A woman is just as capable of being a ghostbuster or a paranormal investigator as a man. I know that some people just don't like the idea of a reboot at all. Ghostbusters was a perfect little movie in its own time. I think it's going to be good... You need to come into it with an open mind and just know that, while it has the same name, it's not really related to the first movie. I have been really lucky in that my team members have been amazing, so no I personally haven't... I have known people who have experienced it, female team members on other teams who just have had very negative reactions or negative experiences with the men on their team. It happens. It's an unfortunate reality for women in any field doing anything, that you might hit some sexism. You might experience it at some point. I don't want to say it's inevitable because that makes that seem like it's acceptable. It's not, but it's something that you have to learn to work around. I want it to raise awareness of the paranormal community... There are a lot of teams all across the country, but there are a lot of people who aren't involved in the paranormal community who don't know that it's a thing. Plus, the fact that it is an all female cast, it might show people, "Oh, I can do this regardless of if I'm a man or a woman."